And one thing that totally ROCKS - all 30 minutes were straight - no stopping no walking! 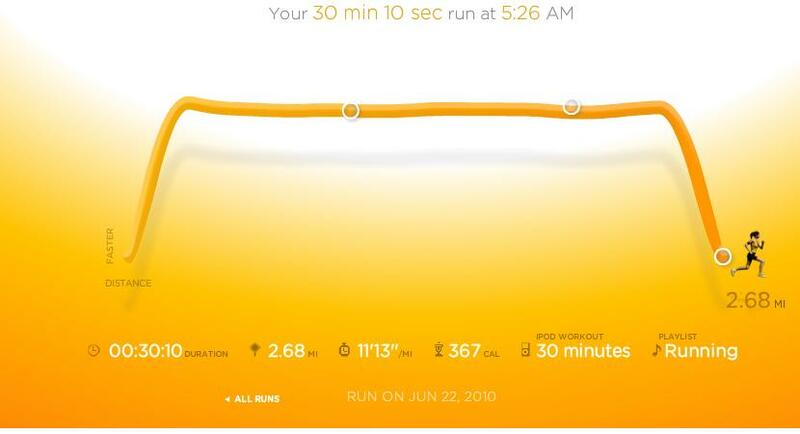 It was very cool to have the feedback during the run, and not have to be checking my stop watch, all the time. If you want to join me on the Nike Running website, where I'll be uploading my runs, I'm there under fatlittlelegs. What's next? 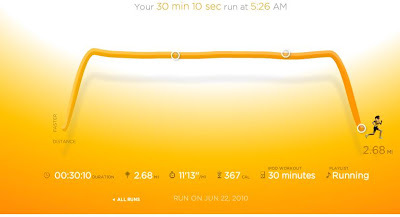 Another run like this on Thursday and then I'm shooting for 5 miles on Sat or Sun (whichever doesn't have rain). 100 pounds lost! WOW! AMAZING! Thank you for being such an inspiration. I am going to go read more of your blog now! Wow. Still running. I believe you may have caught something. You are so inspiring!! I hope to get there myself!! Keep going girl!! Hugs!